Governor Andrew M. Cuomo today announced the launch of a new $1.4 million Climate Resilient Farming grant pilot program created to support projects that mitigate the environmental impact of agriculture-related activities and increase the resiliency of farms throughout New York State in the face of a changing climate. Several other new climate-focused initiatives were also announced during New York State’s Climate Week which took place during September 22-29. As part of Governor Cuomo’s 2015 Opportunity Agenda, funding is being made available to agricultural projects which develop and implement best management practices to reduce greenhouse gas emissions and carbon sequestration. Additionally, funding is available to projects that help agricultural producers prepare for and better manage the impacts of climate change like increased heavy rain storm events and periods of drought. The launch of this program follows yesterday’s announcement where Governor Cuomo, joined by Vice President Al Gore, unveiled four major actions to combat climate change and reduce greenhouse gas emissions across New York State. These nation-leading environmental and clean energy initiatives will help New York homes, businesses and universities invest in clean energy, drive economic growth across the state, and protect the environment. Several other new climate-focused initiatives were also announced during New York State’s Climate Week which took place during September 22-29. These included $175 million for five large-scale clean energy projects to increase electricity generation from renewable energy sources, a $35 million project to make Roberto Clemente State Park’s Harlem River waterfront greener and more storm-resilient, and a $3 million clean energy competition for colleges and universities in New York State. County Soil and Water Conservation Districts will apply for the competitive grants on behalf of farmers. Applications must be submitted for one of the following project categories: agricultural waste storage cover and flare systems; on-farm riparian, floodplain, and upland water management systems; and soil health systems. 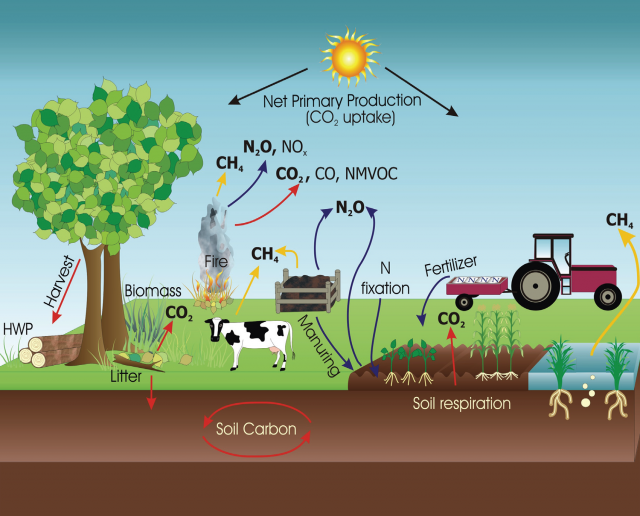 Funding for the Climate Resilient Farming grant program comes from the 2015-2016 New York State Environmental Protection Fund and is administered by the New York State Department of Agriculture and Markets. Applicants for the Climate Resilient Farming grant program must submit their proposals through the Grants Gateway system at https://www.grantsgateway.ny.gov by 4:30 p.m., December 14, 2015.